BEAVERTON — The Mountainside/Jesuit tournament this week was essentially a de facto "who's who" of Class 6A softball royalty. Tualatin, the defending state champion that is No. 1 in both the coaches poll and the Oregon School Activities Association rankings, dusted everybody, improving to 8-0. Tigard, which is eighth in the OSAA 6A power rankings, won four games to raise its record to 7-2. 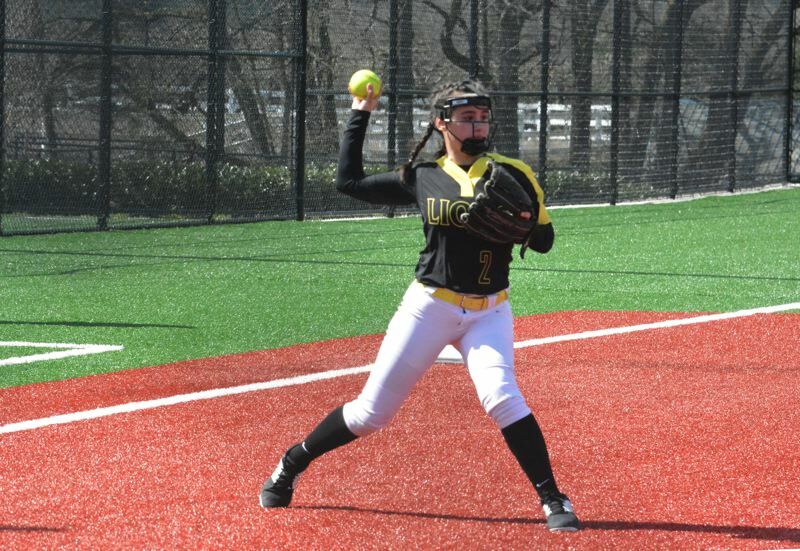 Mountainside, which has the makings of a quarterfinal contender in its first year at the varsity level, went to 8-1, with three wins in four outings. The Mavericks are fifth in both the OSAA rankings and coaches poll. Jesuit, an annual state title contender, also had a 3-1 week to get to 7-2. The Crusaders are ranked third by the coaches and ninth by the OSAA. St. Helens was the only 5A team to take part in the tourney, and the schedule makers did the Lions little favor by cramming all four of those aforementioned powers into a two-day window. St. Helens didn't win a game, going 0-4, including an 11-1 loss to the Mavericks on Tuesday at Mountainside. But the purpose of playing such a gauntlet should go a long way in helping St. Helens' seasonal outlook. 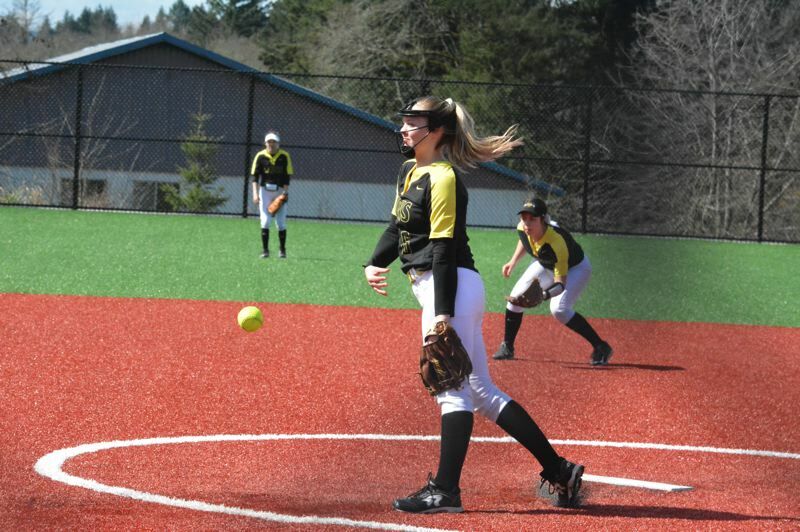 The Northwest Oregon Conference is notoriously tough, with the likes of Putnam and Hillsboro, who pattern themselves after the 6A's aggressive styles, especially at the plate. By the time league play rolls around on April 9, it'll be sink or swim for St. Helens. With a trip in the deep end of the pool already under their belt by battling some of the 6A's elite, the Lions (1-5) hope to be doing some backstrokes around their 5A opposition. "League is what it's all about," St. Helens coach Miranda Little said. "We like playing these tougher teams. We have some teams in our league who hit the ball just like these 6A schools do. It gets us prepared. "The girls are shooting to be top three, top four in league. I think that's a realistic goal. It's going to take us playing really well on the road. We play well at home, so when we go on the road, we'll have to keep playing our game and not adjust our level of play to the teams that we're playing." The big-picture benefits far outweighed the winless stretch this week. Going to a lesser tournament and hammering a bunch of smaller schools wouldn't have allowed the Lions to grow and get better. In the bottom of the first inning on Tuesday against Mountainside, trailing 2-1, Lions sophomore center fielder Brea Paulson fought off the sun, got a read on a deep fly ball and caught it close to the fence to save extra bases and at least another run from scoring. 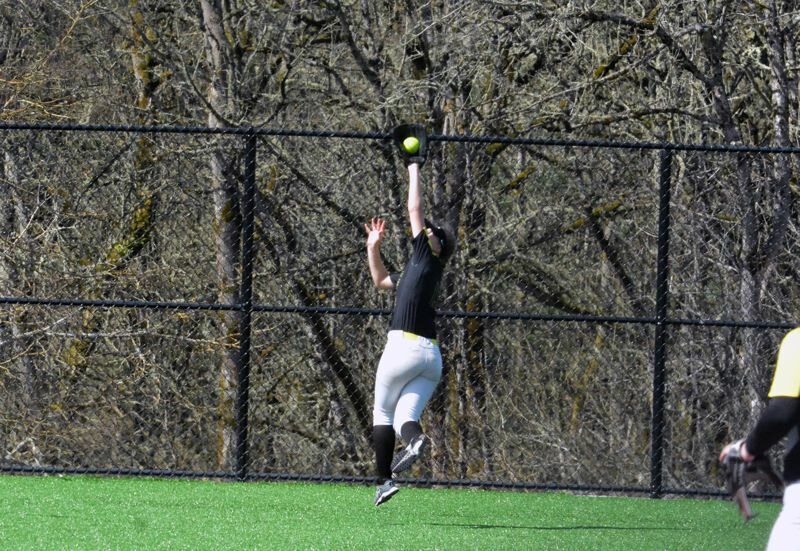 Senior shortstop Taylor Dow made a nice, backtracking catch. And senior third baseman Madi Flores made a sage, heads-up play by scooping up a grounder and throwing home to nab a Maverick for the third out of the first. On offense, St. Helens sophomore second baseman Kamryn Hubbs had two base hits against the Mavs. Brynn Austin, a junior first baseman, bagged St. Helens' lone RBI. "This team will prevail. They're tough kids," Little said. "Even when we're down 10 runs, they never give up. They'll still try to get it back. That's what they did this week. One thing we do need to do is be more aggressive at the plate. We had a few girls who seemed a little bit timid, so we're going to work on attacking the pitch and not digging so far into the (strike) count." Little used the tournament to get a better perspective on where St. Helens' team defense is, moving multiple players from position to position. In addition, no batting order was the same from game to game. Players hit in various spots in the order and moved up and down the lineup. Some players such as Dow and Austin are entrenched at their respective positions. But everything else was basically a test lab, with Little mixing and matching potions, trying to come up with combinations she thinks can work when the games count in the Northwest Oregon Conference. "As a coach, I think I figured out who I want where," Little said. "Now I still have to play around with the batting lineup just a little bit. There are a couple more spots that I want to make sure I fill in correctly, but we're set defensively, and that makes me feel comfortable knowing that." The Lions' other tournament games were losses of 17-7 to Jesuit, 20-0 to Tigard and 10-2 to Tualatin. The Mountainside game capped the two days of most formidable competition. St. Helens' next game is a nonleague matchup at 4:30 p.m. Tuesday at Corbett. Then comes the 17-game NWOC season. For the Lions, it opens at home at 5 p.m. Tuesday, April 9 against Hillsboro.